Here at the Temple Brew House, we don’t just brew our own beer. 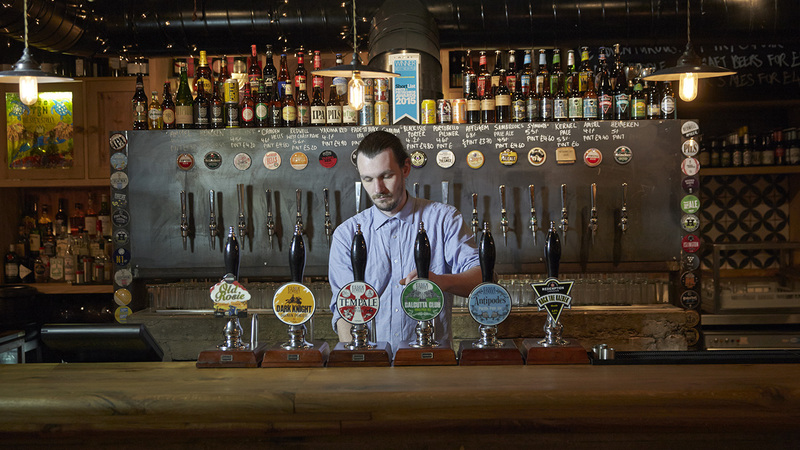 We also sell an extensive selection of the best craft beers from the U.K and around the world. 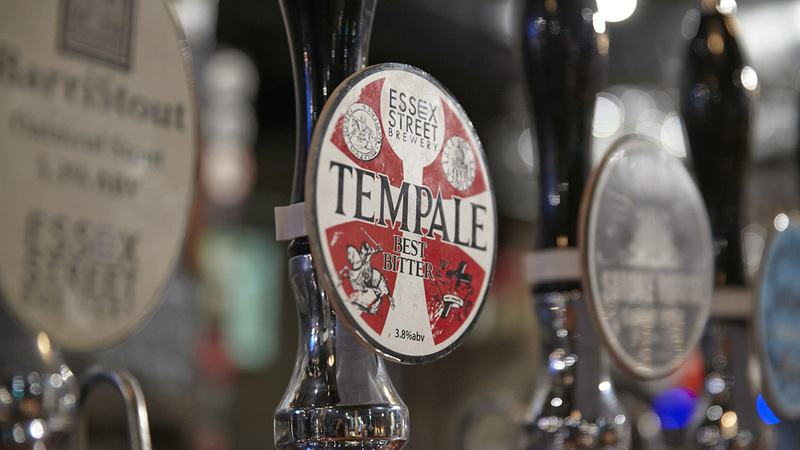 We have 16 taps to choose from, or if you want to be spoilt for choice, check out our bottle selection. Last time we counted, we had over 80 different cans and bottles from amazing breweries such as Cloudwater, Magic Rock, Tool and Wiper & True to name just a few. Our bottles are all chosen by our passionate, slightly beer-obsessed bar team, so you can guarantee you’ll find something to your liking! We also believe that the beer community should be an inclusive place, and we know some of you might not want to try craft, and may prefer to stick to a beer you know. That’s why you’ll also find more commonplace beers such as Heineken, Amstel or Estrella alongside our more obscure craft options. And if we can get you try something new, then that’s great for everyone. Check out what’s on our taps and fridges right now!